The Multi-Purpose Patrol Vest is designed for those patrolling situations where armor is not needed. It has a front center zip for ease of doffing and donning and a mesh back panel sized for a 3-liter water bladder. The vest is adjustable for height as well as girth via ITW G-Hooks and shock cord. 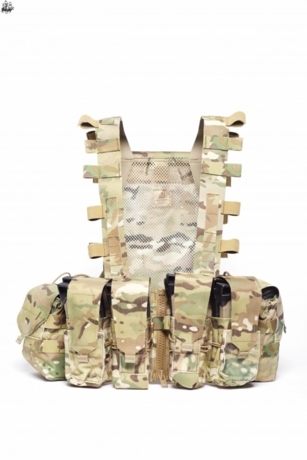 The magazine pouches are designed to carry up to eight M4 type magazines or four 7.62x51 magazines. Additionally two of the M4 magazine pouches feature small GP pockets on the front sized for a compass, GPS or similar sized items. The side GP pouches are sized to carry 32 oz Nalgene bottles or smaller items and have PALS webbing on the front and sides for the attachment of additional pouches. The harness and back panel feature an abundance of one-wrap velcro for cable management. 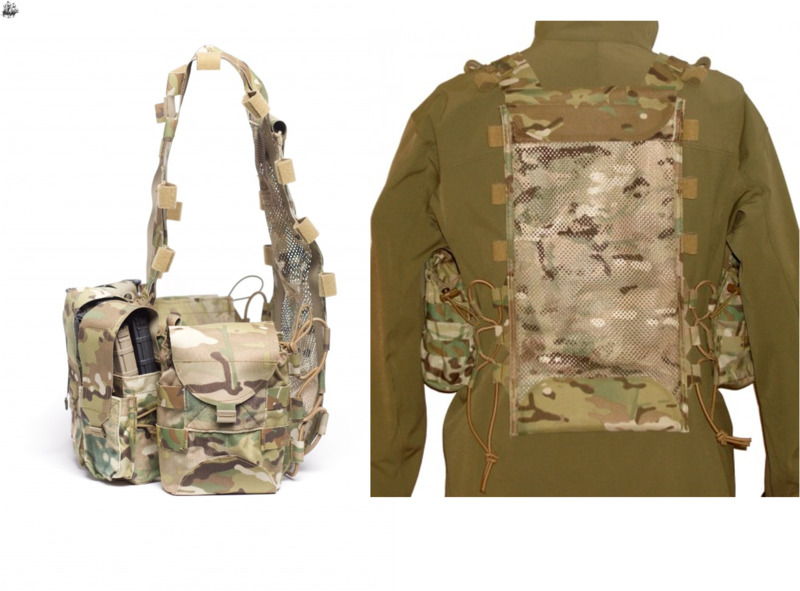 The Multi-Purpose Patrol Vest is available in Multicam and Coyote Brown.